Lucky me! I'm one of the first few Filipinos to witness the $33 million-budgeted movie, “STEP UP Revolution” on the big screen. I had the chance to watch it at the posh Gateway Cineplex 10, situated at Level 4 of Gateway Mall. It's truly a state-of-the-art cinema complex with the latest amenities to ensure maximum convenience, comfort and of course, viewing pleasure. To give you an idea here's the plot of the movie: Emily Anderson (played by Kathryn McCormick of SYTYCD), the daughter of a wealthy businessman, arrives in Miami with aspirations of becoming a professional dancer, but soon falls in love with Sean (Ryan Guzman), a young man who leads a dance crew in elaborate, cutting-edge flash mobs. The crew, called the MOB, strives to win a contest for a major sponsorship opportunity, but soon Emily's father threatens to destroy the MOB's historic neighborhood and build a large hotel, and in the process, displace thousands of people. Emily must band together with Sean and the MOB to turn their performance art into protest art and risk losing their dreams to fight for a greater cause. 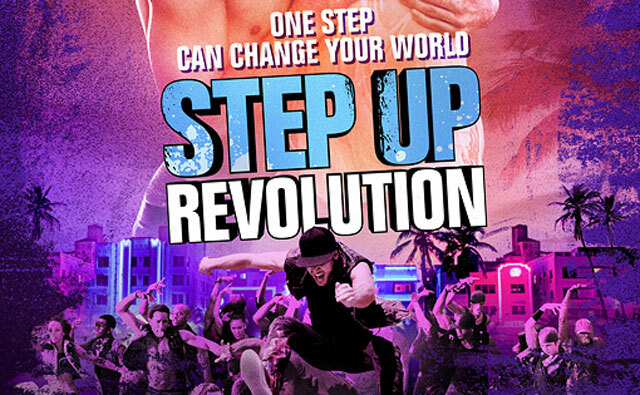 This is the fourth “STEP UP” movie and I've watched the last two flicks, and I can say that this one is the best and my ultimate favorite, probably because of the presence of Kathryn McCormick of So You Think You Can Dance fame. “STEP UP Revolution” is filled with hot bods, electrifying dance moves, pump up beats and breath-taking flash mobs! I especially liked their second flash mob at the museum, for me that's one of the highlights of the film. The movie has this 'predictably generic story line' but if you just want to enjoy movie with friends and says all the "wow!" and "ooohhh!" while watching it, this is the perfect movie for you. But of course, this movie is not for everyone I'm sure your grandma will be bored :) This is not the type of movie that she will liked. Gateway Cineplex 10 has 2,300 total seat complex consists of 10 screens ranging in size from the intimate luxury of the exclusive Platinum Cinema with 40 deluxe reclining La-Z-Boy chairs, to the massive 524 seat impact theatre with a curved screen more than 60 feet wide. Every auditorium has provisions for PWD spaces. The spacious central lobby is conveniently situated above the mall’s Food Express and adjacent to several fine-dining restaurants and provides a meeting point with the various coffee lounges for those who want a little chit-chat before seeing a film. A special feature of the vast lobby is the exclusive “Times Square” mural, created by theatrical designer Fritz Ynfante and his team. US-brand Simplex projectors provide crisp and clear pictures to make moviegoers feel like they’re right in the middle of every epic moment onscreen. Stadium-style stepped seating ensures an unobstructed view of the floor-to-ceiling wall-to-wall screens from every seat. The comfort designed chairs and armrest are all standard amenities. Ample leg room guarantees room to stretch and allow other patrons to pass with the least inconvenience. Another unique feature is the one-of-a-kind Platinum Cinema, with a private access and lounge area. With forty La-Z-Boy reclining leather chairs, this is every movie buff’s dream come true. Included in the admission fee is bottomless drink and popcorn, and for those who want to live a little, an exclusive menu offers a selection of beers and wines plus delicious snacks which can be enjoyed in the exclusive lounge or in the comfort of the theatre itself.